Killer upgrade for your new E-Revo. This is for 1 pair of our 6500 7.4V lipo packs. One left side and one right side custom wired to fit the E-Revo battery compartment. 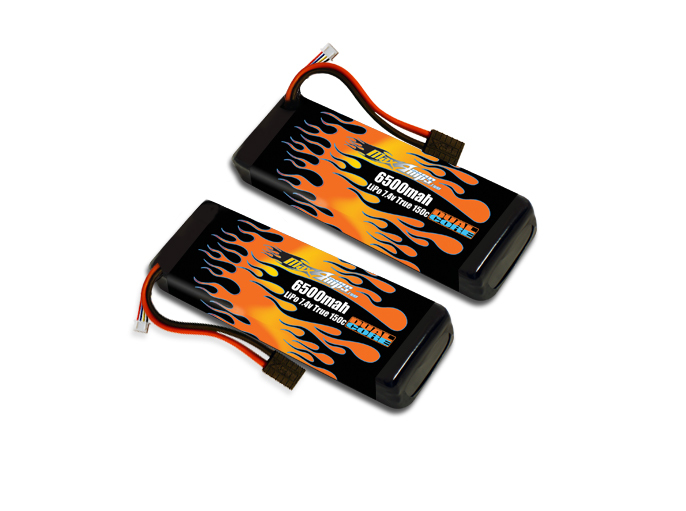 These packs will work perfectly with both a stock and upgraded E-Revo with no modifications required. These packs will make your Traxxas E-Revo scream!